Can The Dallas Cowboys Be The Number One Defense In The NFL??? This Podcast (((Law Nation))) primarily consists of NFL Film Session + Breakdown and Reviews of complete NFL Games and Quick Film Sessions. Plus, other sports talk and information around the world. Dallas Cowboys Travis Frederick is back working out and More!!! DeMarcus Lawrence should be ready around October? Dak Prescott always seems to center on one topic – Talent versus Intangibles. Join The Cowboys Experience https://CowboysExperience.com YouTube: https://www.youtube.com/channel/UCbPWk3BWQwfSElBZUuj3o4g Facebook: https://www.facebook.com/CowboysExperience/ Discord Chat: https://discord.gg/zPszkSh Law's Report This channel (((Law Nation))) primarily consists of NFL Film Session + Breakdown and Reviews of complete NFL Games and Quick Film Sessions. Plus, other sports talk and information around the world. You can now become a supporter of my podcast! https://anchor.fm/LawsNation/support #LawNation #DC4L #GoCowboys Cowboys Fans & Others Speak Your MIND!!! (682) 214-4087 Law's Mailing Address P.O. Box 182 Desoto, Texas 75123-0182 ||||||||||Help Grown The Nation||||||||||||| ☕️ Paypal: https://www.Paypal.Me/LawNation (Donate Here) 💲💳 https://Cash.Me/$LawsNation Be a patron for Law Nation and support more videos like this! https://www.patreon.com/LawNation ************************************** The Official Law Nation Football Sports Reference | NFL Pro-Football Reference https://www.pro-football-reference.com ▼ Join the conversation! ▼ Click Here: Law Nation's Q&A https://www.facebook.com/groups/LawNationNFCEast Subscribe And Like On All Social Media Accounts Don't forget to subscribe to my other Channel Law Nation 2.0 https://www.youtube.com/channel/UCXNKku28FyoOh1zVwmaUcvg Follow Me onTwitter https://twitter.com/LawsNation Follow Me on Instagram https://www.Instagram.com/LawsNation Follow Me on Twitch https://www.twitch.tv/LawsNation Follow Me on Anchor https://Anchor.fm/LawsNation For business inquiries: LawsNation@Gmail.com (Business inquiries only. All others will be ignored.) Instrumentals : AMPROD https://www.youtube.com/channel/UCqrvzZLaSOjpDefnNCtSxSg Campion Bond Music | https://www.youtube.com/user/CampionBondMUSIC ✅ SUBSCRIBE to Law Nation https://goo.gl/shWoMS *Copyright Disclaimer Under Section 107 of the Copyright Act 1976, allowance is made for "fair use" for purposes such as criticism, comment, news reporting, teaching, scholarship, and research. Fair use is a use permitted by copyright statute that might otherwise be infringing. Non-profit, educational or personal use tips the balance in favor of fair use. No copyright infringement intended. ALL RIGHTS BELONG TO THEIR RESPECTIVE OWNERS* And remember you're listening to nothing but the best!! Join The Cowboys Experience https://CowboysExperience.com YouTube: https://www.youtube.com/channel/UCbPWk3BWQwfSElBZUuj3o4g Facebook: https://www.facebook.com/CowboysExperience/ Discord Chat: https://discord.gg/zPszkSh Law's Report This channel (((Law Nation))) primarily consists of NFL Film Session + Breakdown and Reviews of complete NFL Games and Quick Film Sessions. Plus, other sports talk and information around the world. You can now become a supporter of my podcast! https://anchor.fm/LawsNation/support #LawNation #DC4L #GoCowboys Cowboys Fans & Others Speak Your MIND!!! Law's Mailing Address P.O. Box 182 Desoto, Texas 75123-0182 ||||||||||Help Grown The Nation||||||||||||| ☕️ Paypal: https://www.Paypal.Me/LawNation (Donate Here) 💲💳 https://Cash.Me/$LawsNation Be a patron for Law Nation and support more videos like this! https://www.patreon.com/LawNation ************************************** The Official Law Nation Football Sports Reference | NFL Pro-Football Reference https://www.pro-football-reference.com ▼ Join the conversation! ▼ Click Here: Law Nation's Q&A https://www.facebook.com/groups/LawNationNFCEast Subscribe And Like On All Social Media Accounts Don't forget to subscribe to my other Channel Law Nation 2.0 https://www.youtube.com/channel/UCXNKku28FyoOh1zVwmaUcvg Follow Me onTwitter https://twitter.com/LawsNation Follow Me on Instagram https://www.Instagram.com/LawsNation Follow Me on Twitch https://www.twitch.tv/LawsNation Follow Me on Anchor https://Anchor.fm/LawsNation For business inquiries: LawsNation@Gmail.com (Business inquiries only. All others will be ignored.) Instrumentals : AMPROD https://www.youtube.com/channel/UCqrvzZLaSOjpDefnNCtSxSg Campion Bond Music | https://www.youtube.com/user/CampionBondMUSIC ✅ SUBSCRIBE to Law Nation https://goo.gl/shWoMS *Copyright Disclaimer Under Section 107 of the Copyright Act 1976, allowance is made for "fair use" for purposes such as criticism, comment, news reporting, teaching, scholarship, and research. Fair use is a use permitted by copyright statute that might otherwise be infringing. Non-profit, educational or personal use tips the balance in favor of fair use. No copyright infringement intended. ALL RIGHTS BELONG TO THEIR RESPECTIVE OWNERS* And remember you're listening to nothing but the best!! This channel (((Law Nation))) primarily consists of NFL Film Session + Breakdown and Reviews of complete NFL Games and Quick Film Sessions. Plus, other sports talk and information around the world. Discord Chat: https://discord.gg/zPszkSh Welcome to the Cowboys Experience! We offer outstanding Dallas Cowboys experiences and travel packages for our family of fans! Meet Former and Current Cowboys players | click the link below ⬇ https://CowboysExperience.com Law's Mailing Address P.O. Box 182 Desoto, Texas 75123-0182 Law Nation 2.0 https://www.youtube.com/channel/UCXNKku28FyoOh1zVwmaUcvg You can now become a supporter of my podcast! https://anchor.fm/LawsNation/support |||||Help Grow The Nation||||| ☕️ Paypal: https://www.Paypal.Me/LawNation (Donate Here!) 💲💳 https://Cash.Me/$LawsNation Be a patron for Law Nation and support more videos like this! https://www.patreon.com/LawNation ***************************** ▼ Join the conversation! ▼ Click Here: Law Nation's Q&A https://www.facebook.com/groups/LawNationNFCEast Subscribe And Like On All Social Media Accounts Follow Me on Facebook https://www.facebook.com/TheLawNation Follow Me on Twitter https://twitter.com/LawsNation Follow Me on Instagram https://www.Instagram.com/LawsNation Follow Me on Twitch https://www.twitch.tv/LawsNation Follow Me on Anchor https://Anchor.fm/LawsNation Follow Me on Tumblr https://LawNation.tumblr.com/ Follow Me on YouNow https://www.YouNow.com/LawNation Follow Me on DailyMotion https://www.dailymotion.com/LawNation For business inquiries: LawsNation@Gmail.com (Business inquiries only. All others will be ignored.) ***My Equipment*** https://amzn.to/2t8nTtL Lenovo Idea Centre 510 All-in-One Desktop 8GB RAM, 1TB HDD, Instrumentals : AMPROD https://www.youtube.com/channel/UCqrvzZLaSOjpDefnNCtSxSg Campion Bond Music | https://www.youtube.com/user/CampionBondMUSIC *Copyright Disclaimer Under Section 107 of the Copyright Act 1976, allowance is made for "fair use" for purposes such as criticism, comment, news reporting, teaching, scholarship, and research. Fair use is a use permitted by copyright statute that might otherwise be infringing. Non-profit, educational or personal use tips the balance in favor of fair use. No copyright infringement intended. ALL RIGHTS BELONG TO THEIR RESPECTIVE OWNERS* And remember you're listening to nothing but the best!! ✪ Like! Subscribe! Comment! Thank For Watching Join The Cowboys Experience https://CowboysExperience.com YouTube: https://www.youtube.com/channel/UCbPWk3BWQwfSElBZUuj3o4g Facebook: https://www.facebook.com/CowboysExperience/ Discord Chat: https://discord.gg/zPszkSh Law's Report This channel (((Law Nation))) primarily consists of NFL Film Session + Breakdown and Reviews of complete NFL Games and Quick Film Sessions. Plus, other sports talk and information around the world. You can now become a supporter of my podcast! https://anchor.fm/LawsNation/support #LawNation #DC4L #GoCowboys Cowboys Fans & Others Speak Your MIND!!! Law's Mailing Address P.O. Box 182 Desoto, Texas 75123-0182 ||||||||||Help Grown The Nation||||||||||||| ☕️ Paypal: https://www.Paypal.Me/LawNation (Donate Here) 💲💳 https://Cash.Me/$LawsNation Be a patron for Law Nation and support more videos like this! https://www.patreon.com/LawNation ************************************** The Official Law Nation Football Sports Reference | NFL Pro-Football Reference https://www.pro-football-reference.com ▼ Join the conversation! ▼ Click Here: Law Nation's Q&A https://www.facebook.com/groups/LawNationNFCEast Subscribe And Like On All Social Media Accounts Don't forget to subscribe to my other Channel Law Nation 2.0 https://www.youtube.com/channel/UCXNKku28FyoOh1zVwmaUcvg Follow Me onTwitter https://twitter.com/LawsNation Follow Me on Instagram https://www.Instagram.com/LawsNation Follow Me on Twitch https://www.twitch.tv/LawsNation Follow Me on Anchor https://Anchor.fm/LawsNation For business inquiries: LawsNation@Gmail.com (Business inquiries only. All others will be ignored.) Instrumentals : AMPROD https://www.youtube.com/channel/UCqrvzZLaSOjpDefnNCtSxSg Campion Bond Music | https://www.youtube.com/user/CampionBondMUSIC ✅ SUBSCRIBE to Law Nation https://goo.gl/shWoMS *Copyright Disclaimer Under Section 107 of the Copyright Act 1976, allowance is made for "fair use" for purposes such as criticism, comment, news reporting, teaching, scholarship, and research. Fair use is a use permitted by copyright statute that might otherwise be infringing. Non-profit, educational or personal use tips the balance in favor of fair use. No copyright infringement intended. ALL RIGHTS BELONG TO THEIR RESPECTIVE OWNERS* And remember you're listening to nothing but the best!! How do you grade the Dallas Cowboys Free Agency? Earl Thomas is Brilliant!!! He signed with the Ravens on a Mega Contract deal..
Will the (Market Value) force Earl Thomas to take less money? Multistreaming with https://restream.io/ ✪ Like! Subscribe! Comment! Thank For Watching Join The Cowboys Experience https://CowboysExperience.com YouTube: https://www.youtube.com/channel/UCbPWk3BWQwfSElBZUuj3o4g Facebook: https://www.facebook.com/CowboysExperience/ Discord Chat: https://discord.gg/zPszkSh Law's Report This channel (((Law Nation))) primarily consists of NFL Film Session + Breakdown and Reviews of complete NFL Games and Quick Film Sessions. Plus, other sports talk and information around the world. You can now become a supporter of my podcast! https://anchor.fm/LawsNation/support #LawNation #DC4L #GoCowboys Cowboys Fans & Others Speak Your MIND!!! Law's Mailing Address P.O. Box 182 Desoto, Texas 75123-0182 ||||||||||Help Grown The Nation||||||||||||| ☕️ Paypal: https://www.Paypal.Me/LawNation (Donate Here) 💲💳 https://Cash.Me/$LawsNation Be a patron for Law Nation and support more videos like this! https://www.patreon.com/LawNation ************************************** The Official Law Nation Football Sports Reference | NFL Pro-Football Reference https://www.pro-football-reference.com ▼ Join the conversation! 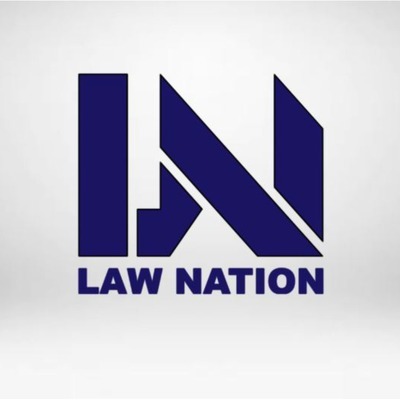 ▼ Click Here: Law Nation's Q&A https://www.facebook.com/groups/LawNationNFCEast Subscribe And Like On All Social Media Accounts Don't forget to subscribe to my other Channel Law Nation 2.0 https://www.youtube.com/channel/UCXNKku28FyoOh1zVwmaUcvg Follow Me onTwitter https://twitter.com/LawsNation Follow Me on Instagram https://www.Instagram.com/LawsNation Follow Me on Twitch https://www.twitch.tv/LawsNation Follow Me on Anchor https://Anchor.fm/LawsNation For business inquiries: LawsNation@Gmail.com (Business inquiries only. All others will be ignored.) Instrumentals : AMPROD https://www.youtube.com/channel/UCqrvzZLaSOjpDefnNCtSxSg Campion Bond Music | https://www.youtube.com/user/CampionBondMUSIC ✅ SUBSCRIBE to Law Nation https://goo.gl/shWoMS *Copyright Disclaimer Under Section 107 of the Copyright Act 1976, allowance is made for "fair use" for purposes such as criticism, comment, news reporting, teaching, scholarship, and research. Fair use is a use permitted by copyright statute that might otherwise be infringing. Non-profit, educational or personal use tips the balance in favor of fair use. No copyright infringement intended. ALL RIGHTS BELONG TO THEIR RESPECTIVE OWNERS* And remember you're listening to nothing but the best!! The Dallas Cowboys Free Agency Talk So Far!!! Who believes In David Irving? Discord Chat: https://discord.gg/zPszkSh Law's Report This channel (((Law Nation))) primarily consists of NFL Film Session + Breakdown and Reviews of complete NFL Games and Quick Film Sessions. Plus, other sports talk and information around the world. You can now become a supporter of my podcast! https://anchor.fm/LawsNation/support #LawNation #DC4L #GoCowboys Cowboys Fans & Others Speak Your MIND!!! Dak Prescott will lose the locker room if. The Dallas Cowboys Key Off-Season Moves! The Dallas Cowboys Round Table Roster Evaluation!!! I'm telling you Kellen Moore is Cowboys new HC in waiting? Buzz builds that Sean Payton will coach the Cowboys, in time? ✪ Like! Subscribe! Comment! Thank For Watching Law's Report This channel (((Law Nation))) primarily consists of NFL Film Session + Breakdown and Reviews of complete NFL Games and Quick Film Sessions. Plus, other sports talk and information around the world. INSIDER: Kellen Moore, Doug Nussmeier & Cowboys OC dilemma For the second consecutive season, the Dallas Cowboys are undergoing significant coaching changes. Things are different this time around though, considering one calendar year ago it was the team empowering offensive coordinator Scott Linehan to completely mold the offense into his brainchild. That decision led to the hiring of offensive line coach Paul Alexander after firing longtime the incumbent Frank Pollack, in a swap that put the engineer of the best front five in football out to pasture for a far less successful implant from the Cincinnati Bengals, and with blatant disregard for how the installation of a new scheme would impact already established players like All-Pro left tackle Tyron Smith and right tackle La'El Collins. Seven games into the season, Alexander was fired, and assistant OL coach Marc Colombo was given the job. Saints vs LA Rams | The Super Bowl Talk | Also, Kellen Moore the next Sean McVay? Out in the Dallas streets talking Cowboys!!!! Scott Linehan Is Gone BYE-BYE!!!! The Dallas Cowboys Finally Did IT!!!!! Can The 2019 Draft For The Dallas Cowboys Make It Worth Keeping Scott Linehan? Dallas Cowboys News and Notes | Blake Jarwin Out Bring Back Jason Witten? Support the stream: https://streamlabs.com/lawnation Law's Report This channel (((Law Nation))) primarily consists of NFL Film Session + Breakdown and Reviews of complete NFL Games and Quick Film Sessions. Plus, other sports talk and information around the world. WIN All Inclusive Cowboys Playoff Tickets to Saturday’s game against Seahawks. Join the TKO Boxing raffle for your opportunity to win this amazing ticket package! To enter just visit www.wincowboystickets.com Law's Report This channel (((Law Nation))) primarily consists of NFL Film Session + Breakdown and Reviews of complete NFL Games and Quick Film Sessions. Plus, other sports talk and information around the world. Kris Richard Might Be Gone??? The Things Cowboys Ezekiel Elliott and Dak Must Do To Beat Seahawks!!! The Dallas Cowboys | If You Can Keep Your Head When All About You Are Losing Theirs!!! A Focus Mind Is Powerful!!! This channel (((Law Nation))) primarily consists of NFL Film Session + Breakdown and Reviews of complete NFL Games and Quick Film Sessions. Plus, other sports talk and information around the world. The Dallas Cowboys | Just need to stay focus!!!!! Why people are hurt after a Cowboys Lost? Law's Report This channel (((Law Nation))) primarily consists of NFL Film Session + Breakdown and Reviews of complete NFL Games and Quick Film Sessions. Plus, other sports talk and information around the world. Dallas Cowboys talk with Silver&Blue Nation + Mark Holmes and more!!! The Dallas Cowboys Amari Cooper + Carson Wentz news & Do You (REST) the Starters? (The G.O.A.T) This channel (((Law Nation))) primarily consists of NFL Film Session + Breakdown and Reviews of complete NFL Games and Quick Film Sessions. Plus, other sports talk and information around the world. Leighton Vander Esch hits the bench? Sean Lee is now the starter??? Law's MIDDAY Report This channel (((Law Nation))) primarily consists of NFL Film Session + Breakdown and Reviews of complete NFL Games and Quick Film Sessions. Plus, other sports talk and information around the world. Report This channel (((Law Nation))) primarily consists of NFL Film Session + Breakdown and Reviews of complete NFL Games and Quick Film Sessions. Plus, other sports talk and information around the world. Mid Day Sports Report This channel (((Law Nation))) primarily consists of NFL Film Session + Breakdown and Reviews of complete NFL Games and Quick Film Sessions. Plus, other sports talk and information around the world. #LawNation #DC4L #GoCowboys You can now become a supporter of my podcast! 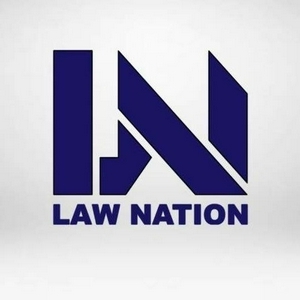 https://anchor.fm/LawsNation/support This channel (((Law Nation))) primarily consists of NFL Film Session + Breakdown and Reviews of complete NFL Games and Quick Film Sessions. Plus, other sports talk and information around the world. A Big TEST For Byron Jones?? Whats the NEXT Move Cowboys Nation? The Cowboys are using this bye week to make some changes. One of them is firing offensive line coach Paul Alexander, a veteran NFL assistant of nearly 30 years. The Dallas Cowboys road is a little rough, can we bounce back ??? The Dallas Cowboys Bye Week | What To Look For ??? Listen to Tony Romo’s Football Life as he goes from an undrafted NFL rookie to a Dallas Cowboys quarterback legend. This channel (((Law Nation))) primarily consists of NFL Film Session + Breakdown and Reviews of complete NFL Games and Quick Film Sessions. Plus, other sports talk and information around the world. Welcome to the Cowboys Experience! We offer outstanding Dallas Cowboys experiences and travel packages for our family of fans! Looking Forward to the Texans | Dez Back On The Roster? With Giants Coming to Dallas, Dak Must Step Up ft. Computer from Three 6 Mafia | Preview Following a disastrous offensive outing last Sunday at Carolina, Dak Prescott has found himself faced with seemingly endless criticism. Now, with the New York Giants coming to town and Landon Collins says the G-Men only need to worry about Zeke, the pressure is on Prescott to silence the naysayers. #LawNation #DDP #BigGameJames This channel (((Law Nation))) primarily consists of NFL Film Session + Breakdown and Reviews of complete NFL Games and Quick Film Sessions. Plus, other sports talk and information around the world. I'm so sick of Dak Prescott...He is the new Garrett excuse! The Dallas Cowboys Sports News | Where To Find Cowboy Jobu? Travis Frederick Out Indefinitely With Guillain Barre syndrome | Dallas Prospect LIVE Ep. 27 Travis Frederick's recent string of stingers may not be a spinal issue, but the reality isn't much better. The 4x Pro Bowl Center was diagnosed with Guillain Barre syndrome, an auto-immune disease that targets the nerves. His return date is in question. This channel (((Law Nation))) primarily consists of NFL Film Session + Breakdown and Reviews of complete NFL Games and Quick Film Sessions. Plus, other sports talk and information around the world. Law Nation, AKOYE Media & Voch Lombardi Speaks on The Dallas Cowboys Upcoming 2018 Season and More... This channel (((Law Nation))) primarily consists of NFL Film Session + Breakdown and Reviews of complete NFL Games and Quick Film Sessions. Plus, other sports talk and information around the world. Should The Dallas Cowboys Rest Their Players YES or No? The Dallas Cowboys | Tavon Austin might be the Key!!!! To It all!!! The very first episode of Law Nation Podcast! Who has bigger expectations in 2018 | Dak Prescott or Jimmy Garoppolo? Mike Leslie interviews Tony Romo on several topics: It may be tough for Dallas Cowboys fans to listen to Tony Romo talk about the end. "By the end, the game had gotten a lot easier... in my last 20-25 games I played in, I really felt like they have to do a LOT to win the football game... that's part of the reason why it was hard to retire, because you know you can play the game." Follow Mike Leslie @MikeLeslieWFAA on twitter This channel (((Law Nation))) primarily consists of NFL Film Session + Breakdown and Reviews of complete NFL Games and Quick Film Sessions. Plus, other sports talk and information around the world. Dallas Cowboys defensive tackle Jihad Ward joined Shan and RJ at training camp in Oxnard on Wednesday. Ward talked about his love for LeBron James and Kobe Bryant, growing up in Philadelphia, his thoughts on the Cowboys offensive lineman, his fit with the team, and much more. #LawNation #DC4L #CowboysCamp * This channel (((Law Nation))) primarily consists of NFL Film Session + Breakdown and Reviews of complete NFL Games and Quick Film Sessions. Plus, other sports talk and information around the world. Is Jason Garrett on the hot seat this season? The Dallas Cowboys First Training Camp Fight!!!! YES!!!! Super Bowl Champion Lincoln C. Coleman Jr. Joins The Show Along With Trench Warfare's Brandon Tucker (Trains Cowboys Defensive Line) It's Silver&Blue Nation With Big Game James And Producer G Productions! #LawNation #DC4L #CowboysCamp * This channel (((Law Nation))) primarily consists of NFL Film Session + Breakdown and Reviews of complete NFL Games and Quick Film Sessions. Plus, other sports talk and information around the world. The Dallas Cowboys "X" Dez Bryant You Need To Keep Your Head!!! The Dallas Cowboys 2018 Training Camp Expectation!!! #DC4L #LawNation #FilmSession * This channel (((Law Nation))) primarily consists of NFL Film Session + Breakdown and Reviews of complete NFL Games and Quick Film Sessions. Plus, other sports talk and information around the world. DALLAS COWBOYS | THESE COWBOYS ARE ALREADY LOCKED FOR 53-MAN ROSTER??? Inside The Star... https://insidethestar.com/these-cowboys-are-already-locked-for-53-man-roster/ By John Williams #LawNation #DC4L | This channel (((Law Nation))) primarily consists of NFL Film Session + Breakdown and Reviews of complete NFL Games and Quick Film Sessions. Plus, other sports talk and information around the world. 105.3 The Fan | Mike Fisher Reports | Dallas Cowboys To Camp..
Mike Fisher Fish Report - Dallas Cowboys to camp - One step forward, two steps back ... Please converse, like and share! Follow Fisher @FishSports on Twitter... Salute!!! This channel (((Law Nation))) primarily consists of NFL Film Session + Breakdown and Reviews of complete NFL Games and Quick Film Sessions. Plus, other sports talk and information around the world. NFL Predictions and more... You can find the complete Ep. on Voch Lombardi @ https://www.youtube.com/watch?v=vEPQjscn8MY&t=10s #LawNation #NFLPredictions #DC4L This channel (((Law Nation))) primarily consists of NFL Film Session + Breakdown and Reviews of complete NFL Games and Quick Film Sessions. Plus, other sports talk and information around the world. #LawNation #DC4L This channel (((Law Nation))) primarily consists of NFL Film Session + Breakdown and Reviews of complete NFL Games and Quick Film Sessions. Plus, other sports talk and information around the world. How Do The Dallas Cowboys Turn This Year Around ??? Randy Gregory is back! After being conditionally reinstated by Roger Goodell and the NFL, Cowboys defensive end, Randy Gregory is free to rejoin the team for practice and games, meaning he'll be good to go for the start of Training Camp. This channel (((Law Nation))) primarily consists of NFL Film Session + Breakdown and Reviews of complete NFL Games and Quick Film Sessions. Plus, other sports talk and information around the world. Dallas Prospect LIVE: Ep. 23 - DeMarco Murray Retires | Earl Thomas Hype Media Driven? Randy Gregory is back! After being conditionally reinstated by Roger Goodell and the NFL, Cowboys defensive end, Randy Gregory is free to rejoin the team for practice and games, meaning he'll be good to go for the start of Training Camp. Can The Dallas Cowboys Win With A Simple Offensive Game Plan??? ESPN ranks Cowboys offensive weapons as 3rd-worst in NFL??? Randy Gregory has been on the field for the Dallas Cowboys for just 14 games since he was picked in the second round of the 2015 NFL Draft. For 30 games, the defensive end was suspended — including all 16 games in the 2017 season.Now, Gregory is primed to return to the field for the first time since New Year’s Day 2017. The league announced Tuesday that Gregory was reinstated to the NFL. https://www.youtube.com/watch?v=MqnNV08N9qg&lc=Ugxp6KOdvKM7kYZXYc14AaABAg This channel (((Law Nation))) primarily consists of NFL Film Session + Breakdown and Reviews of complete NFL Games and Quick Film Sessions. Plus, other sports talk and information around the world. 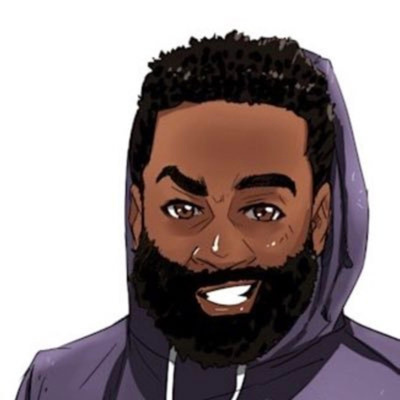 Randy Gregory is back... Credit: Mike Fisher @Fishsports on Twitter This channel (((Law Nation))) primarily consists of NFL Film Session + Breakdown and Reviews of complete NFL Games and Quick Film Sessions. Plus, other sports talk and information around the world. Cowboys Nation All Day!!!! #DC4L This channel (((Law Nation))) primarily consists of NFL Film Session + Breakdown and Reviews of complete NFL Games and Quick Film Sessions. Plus, other sports talk and information around the world. Tony Romo isn't wrong about Cowboys No. 1 WR!!! Let's Build This Team Right Way!!!! This channel (((Law Nation))) primarily consists of NFL Film Session + Breakdown and Reviews of complete NFL Games and Quick Film Sessions. Plus, other sports talk and information around the world. James Jones Disagrees with Tony Romo: Dak Can't throw WRs open!!!!! Tony Romo Says The Dallas Cowboys Shouldn't Worry About Losing Dez Bryant! "Dak will throw WRs open" - Tony Romo This channel (((Law Nation))) primarily consists of NFL Film Session + Breakdown and Reviews of complete NFL Games and Quick Film Sessions. Plus, other sports talk and information around the world. Should The Dallas Cowboys go all out to acquire Earl Thomas ? The Dallas Cowboys | We all want to get paid, that's the name of the GAME!!! Cliff Avril talk about Earl Thomas Love Affair for the Dallas Cowboys......... This channel (((Law Nation))) primarily consists of NFL Film Session + Breakdown and Reviews of complete NFL Games and Quick Film Sessions. Plus, other sports talk and information around the world.
" I was there for so long, I just needed a change" - Orlando Scandrick. Also, Orlando thinks it's Dez's choice that he's still a free agent...... This channel (((Law Nation))) primarily consists of NFL Film Session + Breakdown and Reviews of complete NFL Games and Quick Film Sessions. Plus, other sports talk and information around the world. What will it take for Rico Gathers to make the 53 Roster ??? What Defensive End Will Not Make The Team ??? Is Randy Gregory The Answer ??? Where Do You See The 2018 Dallas Cowboys Wide Receivers ?? ?